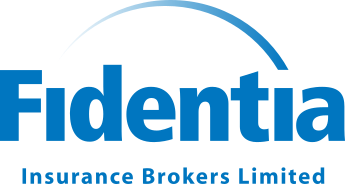 Probus Insurance Plans Limited was set up over 25 years ago to arrange insurance specifically for Probus Clubs and Fidentia are proud to continue the support of the Probus Clubs. Probus Clubs were established for retired or semi-retired business or professional people and now operate worldwide. We arrange insurance on our ‘Club Protection Scheme’ for over 800 Probus Clubs across the UK. Insurance is generally not a Club Officer’s main occupation or speciality, so it is even more important that the Probus Clubs have access to a person that they can speak with who understands their requirements and needs. The cost of defending a liability claim can be very expensive. It is for this very reason that the majority of Probus Club committees have joined the scheme. They recognise the importance of insuring against the substantial costs, time and effort often incurred in defending a Club against any potential claim. Each Probus Club client has access to a dedicated and friendly Fidentia team. They are committed to the highest service standards and are experienced in insurance issues relating to Probus Clubs. This means they are well-placed to give expert advice and support. They can also co-ordinate access to our dedicated in-house claims team for effective and prompt claims resolution. Probus Club clients also get a legal services helpline as part of their insurance cover.